Thermal insulation materials lay the walls and floor of all the houses under construction today. The number of heaters offered by manufacturers is so great that some of them have not heard everything. But such material as Penofol, whose characteristics have quite good indicators, is known to many. No wonder - this heat insulator will also protect against noise, and moisture absorption by the walls will reduce, and the heat transfer in the room will slow down considerably. 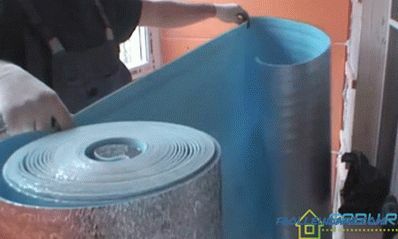 This insulation consists of several layers. 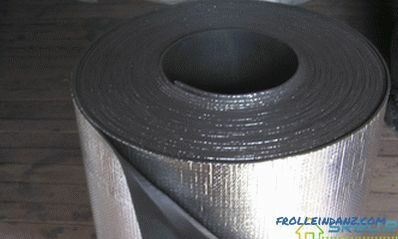 In the middle is self-extinguishing polyethylene foam type, and along the edges is high-quality aluminum foil. Its thickness ranges from 12 to 30 microns, and the proportion of pure substances in it is 99.4 percent. The result is a material of small thickness and weight, which does not contain any harmful additives and is absolutely safe. Penofol has this view from a very close distance. Being practically incapable of absorbing thermal radiation, Penofol works on the principle of its reflection. This distinguishes it from the overwhelming majority of heat insulators, the layers of which trap the heat leaving the room. It should be noted that the word PENOFOL does not mean the type of insulation, but the name of the brand. To understand how the heat is reflected by Penofol, let us remember how the Dewar flask works. This device, usually called the Dewar vessel, was invented by the Scot - a scientist in the field of physics and chemistry, James Dewar. At the beginning of the twentieth century, he conducted a series of experiments in the laboratory in order to test how warmly he would behave, insulated by the walls of the vessel. The same principle applies in all thermos. So, Dewar found out that any substance known to people possesses a certain value of resistance to heat transfer “R”. And whatever value this indicator has, no material can stop the transfer of heat. Only slowing down this process is possible. In this case, the substance absorbs heat waves, accumulating energy in itself. 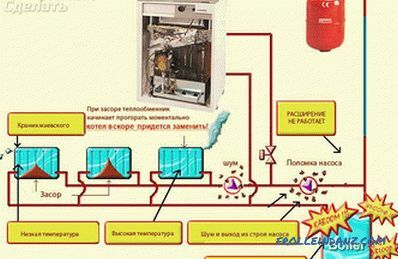 As soon as it is overloaded with this energy, the reverse process will begin - heat generation. But there are a number of materials that are not characteristic of the absorption of thermal energy - they reflect it. These are, for example, precious metals, such as platinum, silver and gold. And this ability has a pure aluminum, well polished. The rays of thermal energy that reach the surface of such a material are reflected almost completely (98-99 percent). But there is only one "but" - these substances conduct heat well. 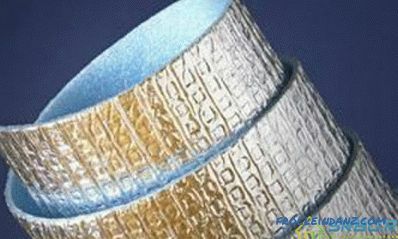 Therefore, it is necessary to supplement them with some thermal barriers, for example, polyethylene foam. He is able to absorb heat. Thus, the technical characteristics of Penofol combine both reflection and absorption of heat rays. Studies have been conducted for more than 40 years, and as a result, it was found out that both the loss of heat from rooms and its accumulation are directly related to the emission of the infrared spectrum. But everything can be balanced by the use of heat-insulating materials of the reflecting type, which are easily mounted and are very effective and inexpensive reflectors of infrared radiation. People are gradually beginning to get used to heat-insulating materials of the reflective type. They are profitable and convenient, so experts predict that gradually such heaters will take the lead. When they are used and the equipment wears out less, and the time and money spent on equipment for heating and air conditioning are significantly reduced. It is easier to work with reflected thermal energy than with absorbed energy. Since the heat rays are reflected, then in the winter time the heat losses on the floor, ceiling and walls will become much less. 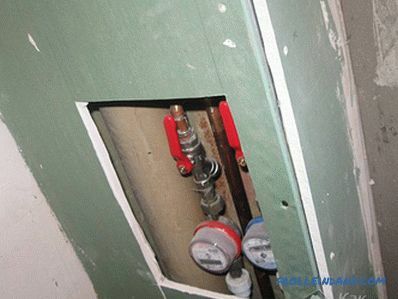 And with the use of double-sided reflecting insulators, in summer, in the heat, there will also be no negative consequences of the absorption of thermal energy from outside. Now a lot of materials are produced under the brand PENOFOL. Perhaps it is worth listing those that are most in demand. Among them is the classic Penofol, covered with an aluminum foil on one side only. Such Penofol has type "A". Foil folded foil on one side - type A.
Penfol folded on both sides of the foil is of type "B". Penofol both of these types is quite dense, and also resistant to physical exertion. Pen-fol type C belongs to the category of self-adhesive materials. In it, on the one side of the foamed polyethylene layer is applied a polished aluminum coating, and on the other, a layer of moisture-resistant glue and a film preventing the adhesion of materials. This type of insulation is used where ordinary Penofol is not suitable or is too expensive, because for its attachment no additional devices are needed. Self-adhesive Penofol - type C.
And still Penofol has perforations. It is also one-sided or double-sided and is produced not so long ago, and is used for thermal insulation of facades from the outside. Perforation allows moisture to come out of the material. In other words, walls, insulated with such material, can "breathe." The thicker the insulation, the more expensive it is. The price and the technical characteristics of foil-coated Penofol are also influenced by the number of layers of aluminum foil: there can be one or two of them. As for thickness, its standard dimensions are 10, 8, 5, 4 and 3 millimeters. 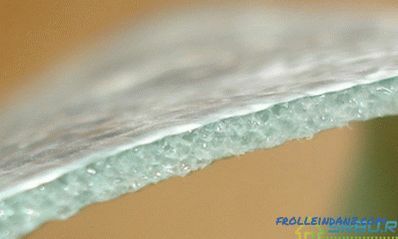 It can be understood that the material of centimeter thickness with a double layer of foil will be the most expensive. He, by the way, not only stores heat best of all, but also protects well against noise. In an optimal ratio of price and quality, Penofol with a thickness of 0.5 cm came out on top. If you need maximum thermal insulation, as well as protection from noise and moisture, it is better to opt for the centimeter layer of Penofol. As for the other parameters of insulation, they also depend on the thickness of its layer, as well as on its type. Since this heater is a combined one, combining heat reflection and its absorption, it is difficult to compare it with traditional heat insulators. 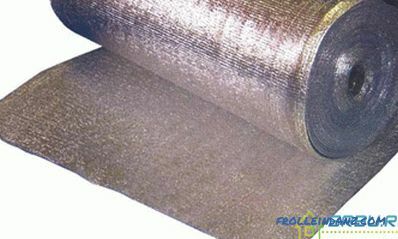 Penofol insulation helps reduce convection due to a layer of foamed polyethylene, and the foil layer on the outside can reflect up to 97% of heat rays. As a result, the isolation is complex. And yet, let us try to compare, if not the thermal conductivity coefficient, but the heat transfer resistance of Penofol and other insulation materials. If you take this material with a thickness of 4 to 5 millimeters, covered on both sides with aluminum foil, then we obtain heat transfer resistance of 1.2 to 1.23 square meters-degrees Celsius per watt. To achieve the same result, the mineral wool layer must be no less than 8 or 8.5 centimeters. Data is calculated according to SNIP II-3-79. Penofol almost does not absorb moisture, and it does not matter how much humidity the air has in the street and in the room. It does not depend on the change of seasons and temperature changes. This distinguishes this insulation from the majority of modern heat insulators. It is not necessary to lay a film for vapor barrier when using Penofol. After all, its vapor permeability coefficient does not even reach 0.001 milligram per meter-hour-Pascal. We can say that this insulation is an excellent barrier to evaporation. Speaking about Penofol sound absorption, you can call this number: 32 decibels. This is the absorption of sound material has class "A". It is not mounted inside the frame of the building structure, but on top of it, with no seams. Therefore, it allows you to protect yourself from various noises: from acoustic and structural. Such versatility is a definite plus. According to the norms, this material refers to substances that are difficult to burn and do not sustain combustion. STROYPHIZIKI Research Institute issued a certificate of conformity to Penofol confirming that the material is not flammable. When ignited from polyethylene, water and carbon dioxide are released. True, if there is not enough oxygen, carbon monoxide can also appear. One of the cleanest materials in terms of ecology is polyethylene foam. Therefore, it is he who is the basis of Penofol. By the way, and by durability (200 years) this substance can be given the highest score. Along the way, it is possible to protect oneself from the harmful effects of electromagnetic radiation. They can be reduced in two or even ten times. Based on From the above, it can be understood that the insulation Penofol technical characteristics is simply universal. 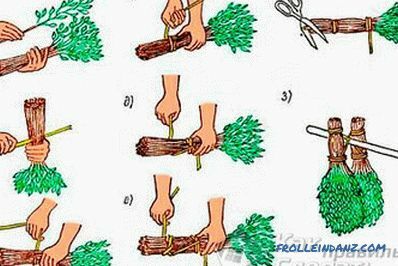 And therefore it can be used both for heat insulation of light summer houses in holiday villages, and for warming high-rise buildings. Offices, production facilities, kindergartens, hospitals, saunas with baths can be isolated with this material. Warm them and warehouses with hangars, both warm and unheated.Stalls and modules for trade, temporary shelters and refrigeration facilities can also be warmed with Penofol. They are also wrapped in pipes (plumbing, ventilation and heating), isolating cars, vans and cars, shielding heating batteries. Penofol, which has a foil coating on both sides, will not only help retain heat on frosty days. Layed under the roof, it will not allow to get into the house of the scorching summer heat. For example, paving Penofol with double-sided foiling, having the type "B" and a thickness of 5 millimeters, leaving two layers of air of 2 centimeters each. The result will not be long in coming: the thermal resistance of the structure will increase by 1.2 square meters-degrees Celsius per watt. As well as other heat-insulating materials, Penofol is not without flaws, so let's see what they are. 1. Foamed polyethylene, which is used as a base and serves as absorbing heat insulation, does not have sufficient rigidity. Therefore, it is not possible to produce plastering over it or use it under wallpapering. Just a little pressure and the material bends. 2. 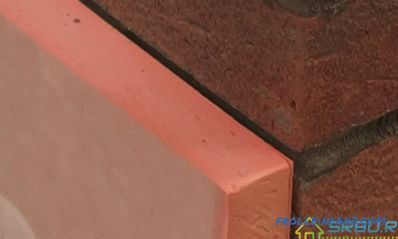 Attaching material to surfaces can also be difficult. This will most likely have to buy special adhesives. It is not advisable to use for fixing various devices that pierce it, since the thermal insulation qualities of the material will deteriorate. The company is trying to eliminate this disadvantage, so Penofol with a self-adhesive surface was put on the market. 3. 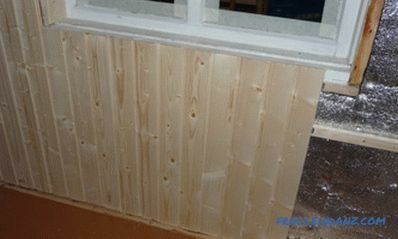 Whatever wonderful properties foamed polyethylene does not possess, the use of Penofol alone as the main insulation of the external walls of buildings and structures is naturally not enough. In this case, it can be used as additional thermal insulation, which, first of all, will provide reflection of thermal energy. There is already a need to calculate everything in terms of money, because there are such types of insulation that contain reflective insulation and can be used as the main insulation.